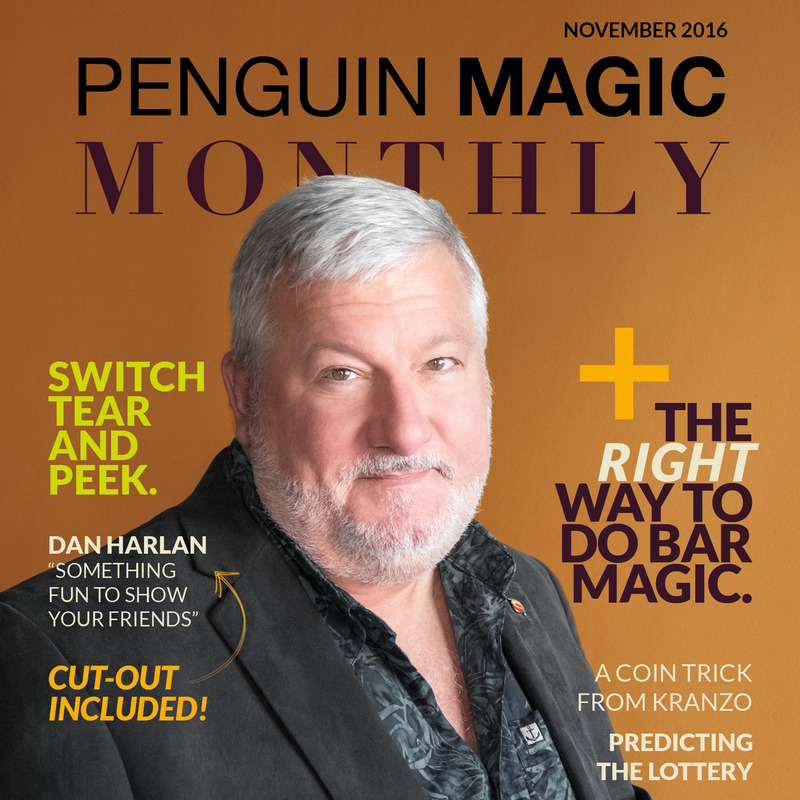 Today, when you order "Penguin Magic Monthly: November 2016", you'll instantly be emailed a Penguin Magic gift certificate. You can spend it on anything you like at Penguin, just like cash. Just complete your order as normal, and within seconds you'll get an email with your gift certificate. In addition to the contents, I like the pocket size. (A little bit smaller and it would fit nicely in my breast pocket!) Thanks for putting this out. This is the first one I've received so far and liked what I saw. It was full of instructive articles that were clear and concise. If this was available for a subscription, I would get one, but unfortunately it is not. Due to that, I only gave it a 4. 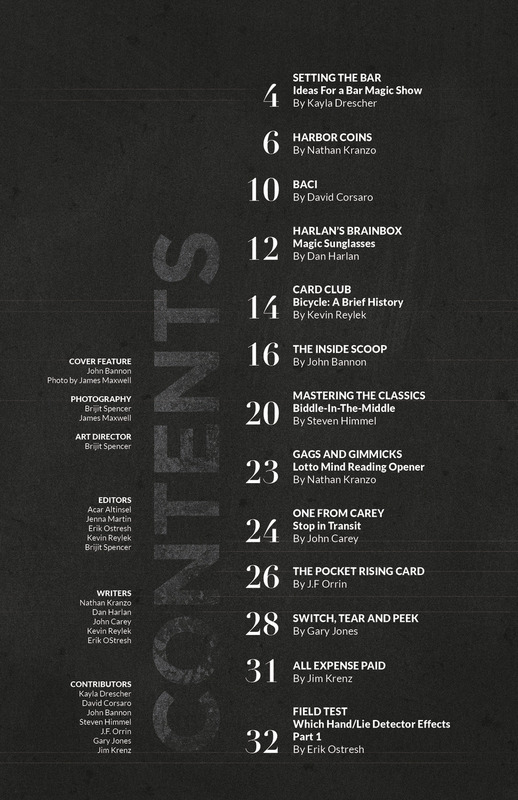 I think a small magazine in this format could be great! It could be similar to Talk About Tricks by Joshua Jay from MAGIC Magazine. The issue I received had some interesting stuff. It didn't seem to be throwaway material which was nice! It also had some notable contributors! However, the effect I was most excited about turned out to be unworkable. I feel this is probabaly due to bad editing, as the instructions read as they are, don't work. They don't do anything. There's a piece missing. So that's a bummer and the reason for 3 stars! And Holy **** does it show. 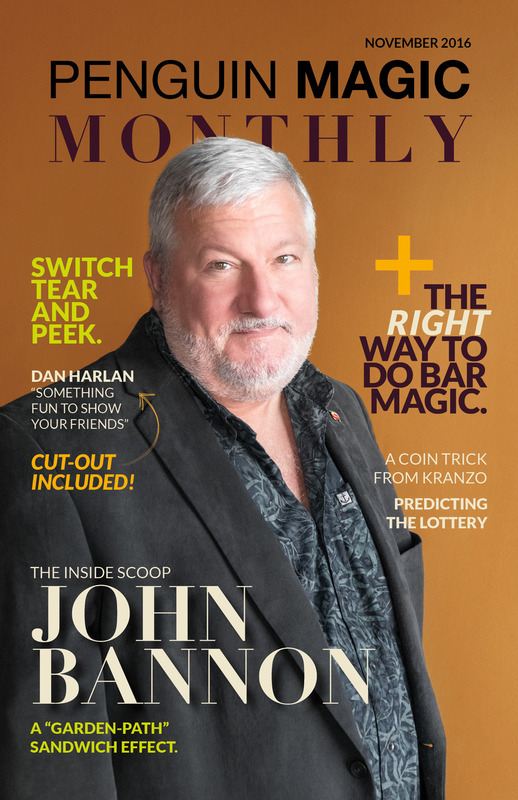 Best issue thus far. Tricks meant to solve problems, articles that are thought provoking. It has everything...and is an issue that you'll want to hold onto for a long long time. Thank you Penguin. Keep it up!